One of the best times of the day captured in this earring: sunset. 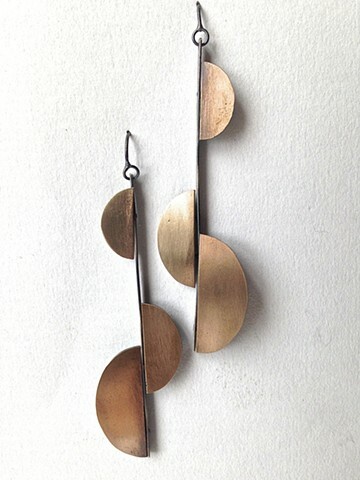 Bronze half-ovals float on the horizon of oxidized sterling. This earring will really “hang” with you as it is designed to move on the ear wire.